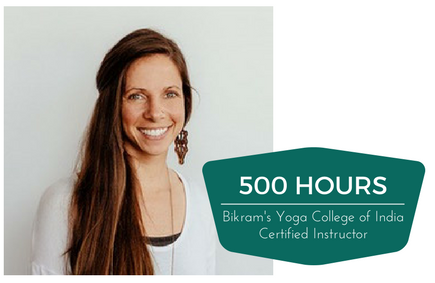 Originally from Los Angeles, Shannon has recently relocated to Ventura from Massachusetts where she owned and operated Bikram Yoga Danvers in Danvers, MA since 2010. Initially, the cold East Coast winters drove her into the Hot Room in 2002 where she soon discovered the powerful changes in mind and body that a consistent practice brings. 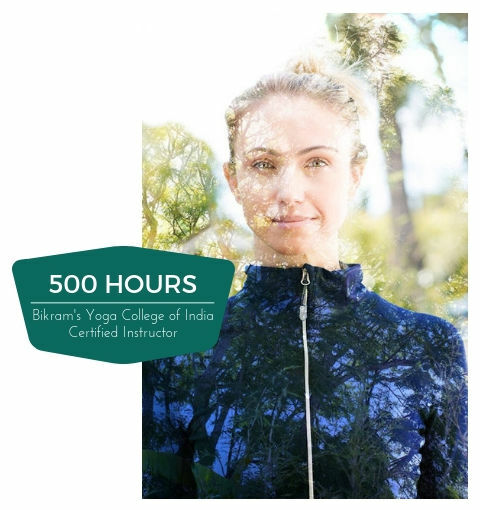 She attended Bikram Teacher Training in the Spring of 2009 in Palm Desert after a health scare made her prioritize her life and she decided make the yoga both her life and her livelihood. Shannon’s goal as a teacher is to help you to be the very best you can be in and out of the Hot Room- so that you can see that your strengths and even your weaknesses are pieces of the multi-dimensional being that you are! 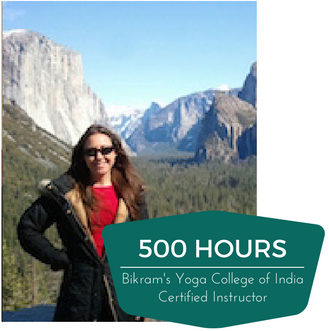 I took my first Bikram class in 2005 when I was in a lot of pain resulting from being a pet groomer for 10 years. I had developed many aches and pains from standing, lifting, and repetitive motion. Ultimately the pain forced me to give up my dream job and close my business. That was heartbreaking. In 2006 I completed a 60 challenge and was amazed how I felt physically, mentally, and emotionally. I knew this yoga would be apart of my everyday life. I attended teacher training in Spring 2009. I have been fortunate to teach and share this yoga practice ever since. Being a teacher has been a wonderful journey and I am grateful for it. I love the outdoors, family, animals, hiking dancing, and surfers. I am married to one :) I have a bachelors in arts with an emphasis in environmental design. I worked 13 years doing auto cad for an architect. Some years back after months of back pain, my best friend talked me into coming to a Bikram class. After one class my back pain was gone and I was sold. Now practicing regularly, I see numerous benefits. I truly believe it is the fountain of youth. I found the strength to become a teacher after a sermon at church about "One second of courage can change your life". I love teaching all the wonderful people I have met, and pray they heal mentally and physically. After years of your typical gym style exercising (weight lifting, running, boxing, and wrestling) I found my body to be worn down with severe lower back pain. Bikram Yoga has been one of the biggest blessings in my life. 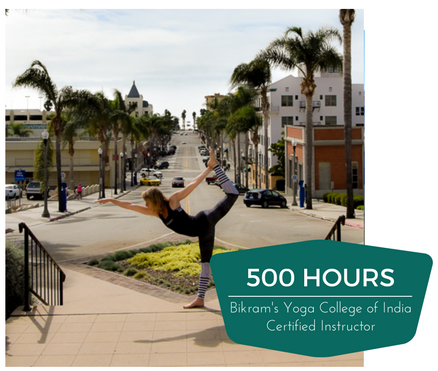 This road lead me to Bikram's Teacher Training Fall 2013 where I become certified to teach and spread this practice I love. I am also a certified massage therapist through the California Massage Therapy Council. A regular Bikram’s Yoga practice gives me strength through my personal struggles and motivates me to work hard and find joy in every moment. I joined my first class in 2001 while attending graduate school in Colorado. Since completing teacher training in 2009, I have taught in California, New York, Massachusetts, Canada, and during a double handed sail across the Pacific, several Hawaiian Islands and eastern Australia. I also taught frequently and practiced daily through pregnancy until a day before delivery. 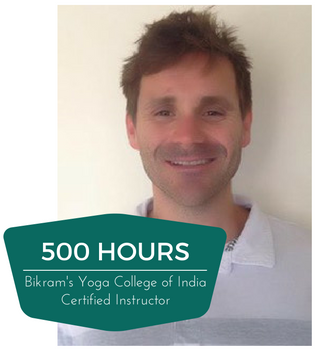 As a Bikram’s Yoga teacher, I hope to help others to discover their potential and resolve challenges of esteem and spirit, to inspire how I have been inspired, and to teach about the mind-body connection of presence and self-compassion that yoga gives me. 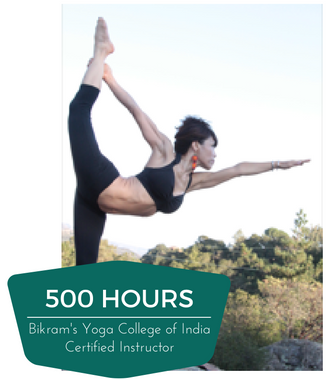 Former 50K runner Sunny Weiss has been practicing and teaching Bikram Yoga for 16 years. This yoga has helped heal injuries, strengthened and toned increased core strength. At 57 years old, this mother of two adult children simply defies the laws of physics and gravity with the help of her yoga practice. 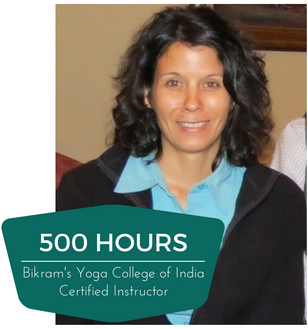 Sunny’s class is fun and informative, challenging and refreshing, a place to work hard and keep a happy, smiling face, her love of yoga truly shines like the Sun! After teaching Bikram yoga for eight years I find myself amazed at the opportunity for growth and maturity that this practice provides to both student and teacher. Every time I enter the hot room, whether teaching or practicing, I try to remind myself that here is our canvas waiting for our true colors to be exposed. As a teacher, it’s an honor and privilege to facilitate the process for students and as a practicing student it is always exciting to see what will be revealed by the challenge of the experience. It is a journey that will never stop unfolding. Bikram yoga can make your eyes sparkle, make your heart smile and make your soul sing. Tell me, what could possibly be more powerful than that? 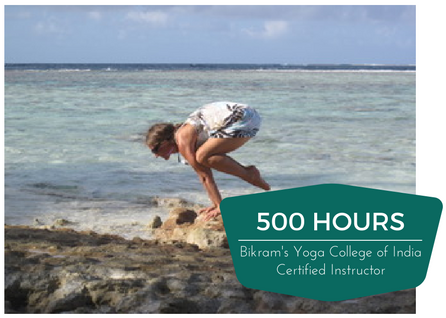 I started practicing Bikram Yoga following a knee and hip injury sustained from my last marathon. 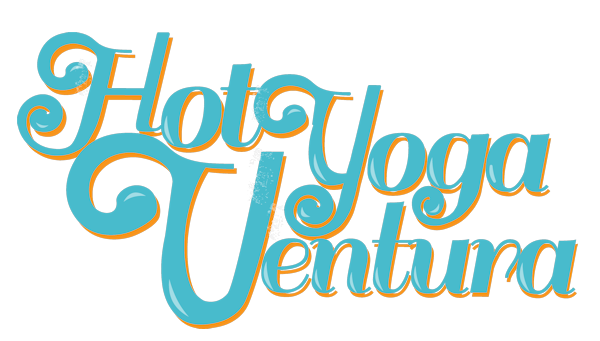 I had never considered yoga before because I didn’t like to stay in one place---I was a runner. This yoga gradually worked its way into my body, mind, and spirit. Peeling away layer after layer, and when I thought there were no more layers to be shed---well, there were, are and always will be. These postures have become old friends. “Mind over the matter”, and “it always comes back to you” are a couple valuable lessons I learn on a daily basis through this yoga. No matter how I enter the hot room, happy, funny, sad, tense, stressed, calm, irritable, or peaceful, I consistently leave feeling grounded, balanced and at ease. Trust the process.